On 12 September 2016, Benoît Tiers was named Chief Digital and Information Systems Officer for SNCF Group. 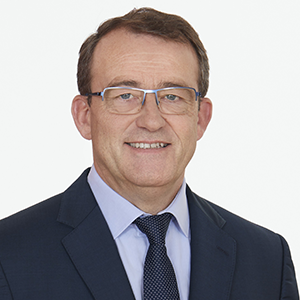 An expert in information systems and information technology, Benoît Tiers began his career at Euriware (Capgemini), serving in a variety of positions, including Outsourcing Manager and Chairman & CEO. He then led digital transformations at three major corporations—Areva in 2005-2009, Sanofi in 2009-2014, and finally CMA CGM—where he served as CTO and CIO. In these positions, his role ranged from defining strategy to applying it at the technological, organizational and human resource levels. Mr Tiers has worked with both IT services firms and end users, and this broad experience gives him a comprehensive view of the full range of IT specialities—infrastructure, applications, consulting and more—as well as all their uses in the business world, including outsourcing, performance contracts and sourcing strategies.